Buyers are in a great position to finally own their own property in the Santa Clarita Valley. Despite predictions to the contrary, interest rates have not “shot up” as some analysts were saying late last year. In fact, they’ve remained fairly steady, still hovering in the low 4 percent range; even lower for certain loan programs. This means that you have more purchasing power in getting the home you want. Contact us to find out more. 2. More homes are on the market. While buyers were able to take advantage of low interest rates last year, they found it very difficult to find a home for sale because of such limited inventory. 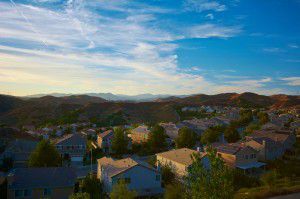 For most of last year, there were only on average around 300 or so available homes in the entire Santa Clarita Valley. This caused some fast and furious bidding, and many buyers lost out. This year we’re seeing what may be perceived as a more “balanced” inventory, with a nearly 3 month supply on hand. A normal market will have 3 to 6 months’ worth of available homes for sale. 3. Why rent when you can own? Owning your own home puts YOU in a better position for your future. With a home rental, your landlord may decide to not renew your lease, or raise your rent. Worse, he can decide to sell the property right out from under you. With home ownership comes stability of knowing what your future holds. There are also several tax benefits to owning your own property as well. 4. Home prices are rising. You might think this benefits sellers more than buyers, but think about it: Had you bought a single family home at the beginning of this year, your net worth would be nearly $50,000* more than before you purchased the home. Remember, owning your own home doesn’t just give you a place to live, it provides you with a solid long-term investment. 5. Santa Clarita is a great place to live! Great schools, great shopping, plenty of things to do for you and your family, not to mention one of the best local economies in Southern California, the SCV truly is a place where community comes first! Montemayor and Associates are your source for all of your real estate goals!